Who? Me? ….How the event is still a shining star in the marketing mix. With online marketing channels offering continuously improved targeting and sales conversion for businesses, you’d be forgiven for wondering where the good old-fashioned event sits as a marketing tool…I for one thought it would casually fade into the background, lost in the shadows of PPC and Facebook advertising. I mean, why spend money on hiring a big venue where people may not turn up when you could spend a few thousand on Google Ads and generate leads from your desk?? However, this doesn’t appear to be the case - at FD Comms, we’re having more and more conversations with people who want to hold events to help market their products, and you don’t need to take our word for it – according to a fancy report from BVEP in 2014, the sector was worth £39.1 billion to the UK economy in terms of direct spend by event delegates, attendees and organisers. And a more recent report from Eventbrite values the industry at a whopping £42.3billion. So it’s not just us seeing the merits of this little old marketing channel….which made us wonder - what is the everlasting appeal of an event? We look at some of the everlasting qualities of this marketing channel. If you think about it, even in a digital world, we all still love a bit of Facetime. We still have real-life weddings and birthday parties – and we don’t have the office Xmas party on slack, or your Uncle Bob’s funeral via a webinar, do we? 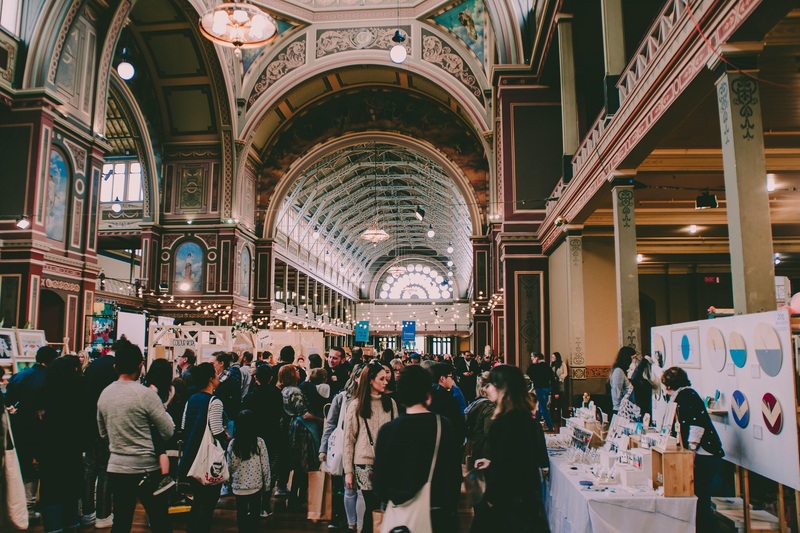 An event is where you can meet customers and other people with common interests, and face to face communication is still the best way to get to know a person and understand what they’re about. Let’s not forget the fact that events spark memories and can leave a lasting impression in your mind – although we would always strive for this to be a good impression. You can send an email or make a phonecall but nothing can make a memory stick in the psyche like an experience. That YouTube video of people on Oblivion at Alton Towers is scary but it’s nothing like the real thing!! If you can make a (good) lasting impression at an event, then what better way to get your customers to understand your products or services? There’s an element of psychology to the event and why people attend – for example, if your business specialises in making fancy cakes and you found out there was a fancy cake conference going on, wouldn’t you want to attend? And if you didn’t attend, there would be a small voice in your head wondering what you missed out on. In psychology, this is referred to as the “need to belong”, where we, as humans, want to be accepted by our peers, and this is what drives us to affiliate with others. In Maslow’s time honoured Hierarchy of Needs, belonging is smack bang in the middle of the pyramid and will be a key motivator in our behaviour. Rather fittingly, Steve emailed this comment while he was attending MozCon in Seattle…a worldwide gathering of SEO people. But this shows exactly why the event has a unique way into a person or customer’s psyche, even those who specialise in the very technical still appreciate the merits of a face to face meet up with likeminded people. I’m sure your gran would love to know about canonical tags over a cup of Earl Grey, but isn’t it just that bit better when the other person is already in the know? Going back to Maslow, his triangle also shows self-actualisation as a human need – of which there are lots of aspects – but one we can use here is the process of developing yourself and being the best that you can be. And this all makes sense – we want to be the best don’t we? And attending an event and learning more about your industry is a great way to do this. Again, we can read a book to learn something but listening to someone inspirational in person is a far more interesting way to learn. Here at FD HQ, we can clearly wax lyrical about the pros of organising an event, but it’s important to look at how to make the event work. We’ve talked about how creating a memory can have a lasting effect on someone, but in just the same way, a bad memory can stick around just as long. So in our next instalment – we’ll share our top tips on getting the event just right.